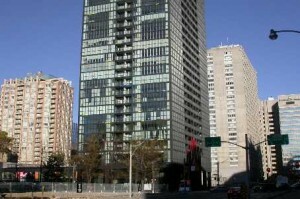 X-Condos, Best 1+Den Layout, 695 Sq.Ft., 9′ Ceiling, Large Balcony With Unobstructed Panoramic East View. Luxurious Features Including Granite Counter Top, Undermounted Sink, Modern Kitchen With Pantry, Ceramic Back-Splash & Kitchen Island, Floor To Ceiling Windows, Engineered Hardwood Floors. Large Den Can Be Used As 2nd Bedroom, Great Amenities: Roof Garden With Landscaped Seating Area, BBQ, Outdoor Pool & Hot Tub, Fitness/Gym, Huge Party Room, Lounge… Fridge, Stove, B/I Dishwasher & Microwave. Washer/Dryer, Walking Distance To Yonge/Bloor Subway, Restaurants & Shops. 24 Hrs. Concierge, Visitor Parking, Guest Suite.